Written EntertainmentAshanti‘s Braveheart rounds out the top 10 on the Billboard 200 chart, selling 28,000 in its first week, significantly less than 2008′s The Declaration, which debuted at #6 on the Billboard 200, selling 86,000 copies. Prior to Nielsen SoundScan’s unveiling of the sales figures on Wednesday, the singer told ABC News Radio how she feels about sales tallies, particularly now that she has launched her own label, Written Entertainment. “In this climate, I just want people to understand the reality of my situation, because I feel like people hold me to a standard when they’re comparing myself and my peers without us having the same tools,” she says referring to the struggle independent artists face. “And I feel like, the only thing that I want and I ask, is for people to just put things into perspective, you know, for me this album is about putting music out there and great music out there,” she says. Ashanti adds that first-week sales could never take away her earlier success, including being a Guinness World Record holder for having three chart-topping songs — “Foolish,” “Always on Time” and “What’s Luv?” — making her the first recording artist since the Beatles to sing on three Top 10 hits simultaneously. 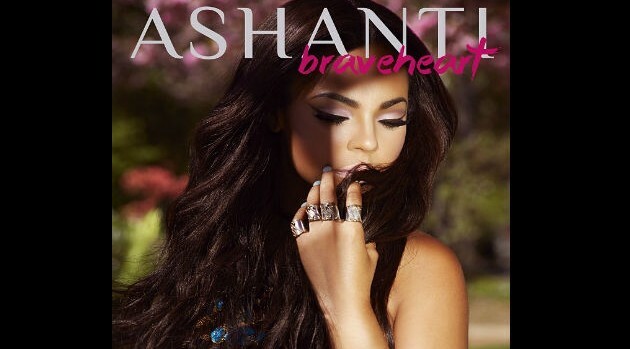 Braveheart is Ashanti’s fifth top 10 album. The set includes a collaboration with Rick Ross, who is currently occupying the top spot on the chart with Mastermind.